Welcome to Corbett Online Booking - Indian and Foreign Tourist can book online Jeep safari, Elephant safari, Canter safari and Accommodation for Six different zones of The Jim Corbett National Park namely Bijrani - Jhirna - Dhikala - Dhela - Durgadevi - Corbett Landscape. Canter Safari is ideal for larger group of people. Its an open canter which is guided and secured by forest officials for your safety. Bringing along whole team or family of yours? Canter safari is the best option for you. 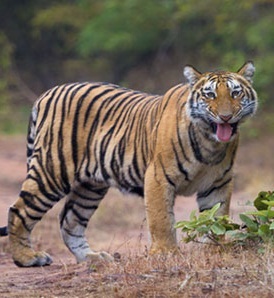 JimCorbettNationalPark.co.in gives your wishes the utmost priority. 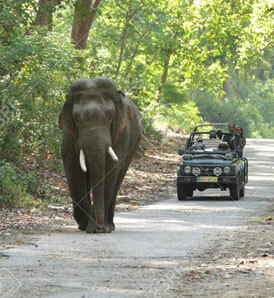 Easy booking to Jim Corbett Jeep Safari, Dhikala Canter Safari and Elephant safari are just a moment away. We provide hassle free registration for the safari including all the documentation and verification process. Also you can reserve rooms at the resorts inside the jungle for a night stay. Bijrani Forest - There is a Government forest rest house inside this zone that permits night stay in the lap of nature. Dhikala forest lodge has two wings old and new and both offers rooms as well as dormitory accommodation.